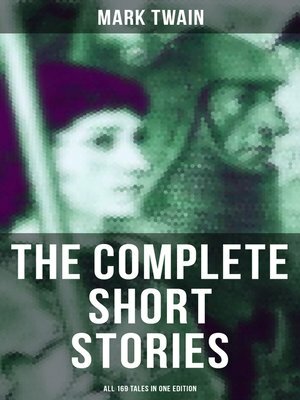 The Complete Short Stories of Mark Twain is a collection of 169 short stories by the author. All the tales he wrote over the course of his lengthy career are gathered here, including such immortal classics as "The Notorious Jumping Frog of Calaveras County," "The Man That Corrupted Hadleyburg," "The Diary of Adam and Eve," and "The $30,000 Bequest." Twain's inimitable wit, his nimble plotting, and his unerring insight into human nature are on full display in these wonderfully entertaining stories. Samuel Langhorne Clemens (1835 – 1910), better known by his pen name Mark Twain, was an American author and humorist. He wrote The Adventures of Tom Sawyer (1876) and its sequel, Adventures of Huckleberry Finn (1885), the latter often called "the Great American Novel."